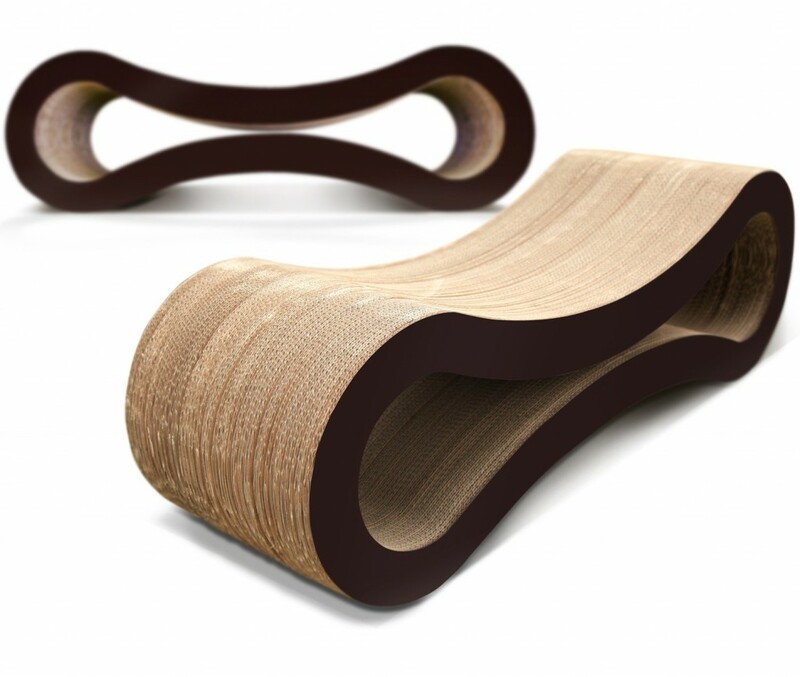 The PetFusion Cat Scratcher Lounge is a curvy combination of scratcher and lounge for your cat. 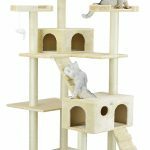 Its curved design provides maximum comfort, and it is made out of corrugated cardboard, which is a product that cats are naturally attracted to. The large surface area allows it to accommodate larger cats, or one extremely large feline. 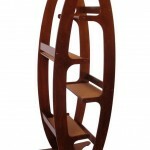 The symmetrical design also means that it can be flipped over, so you can get twice the use out of it. In addition, the Pet Fusion Cat Scratcher Lounge is also featured on the television show “My Cat from Hell,” which airs on Animal Planet. The PetFusion Lounge has received rave reviews from online raters, and in addition, was recommended on the Animal Planet show “My Cat from Hell.” Its simple and symmetrical design makes it go well with many contemporary homes, but what most reviewers are happy with is the product’s durability. Many customers that purchased this product loved that it could be reversed to extend its lifespan, and some have even taken to splitting it in half so that the inner surface could be used as well. A six-cat household had two of these last for almost a year! A few customers have expressed disappointment in the product’s size, stating that their cats don’t fit completely on the lounge. Those same customers have also admitted that their cats are a little on the large side, and that their cats still absolutely love the lounge. Many have stated they will purchase a second one despite the disappointment because their kitties love it so much. The most negative reviews revealed that customers received PetFusion lounges that were covered in mold and reeked of mildew. This is definitely a problem, and it led to many dissatisfied customers. PetFusion did, however, make the exchange/refund process as painless and expedient as possible. While it is nice to have a company care about your concerns, it is a little shocking to receive a moldy product in the mailbox. 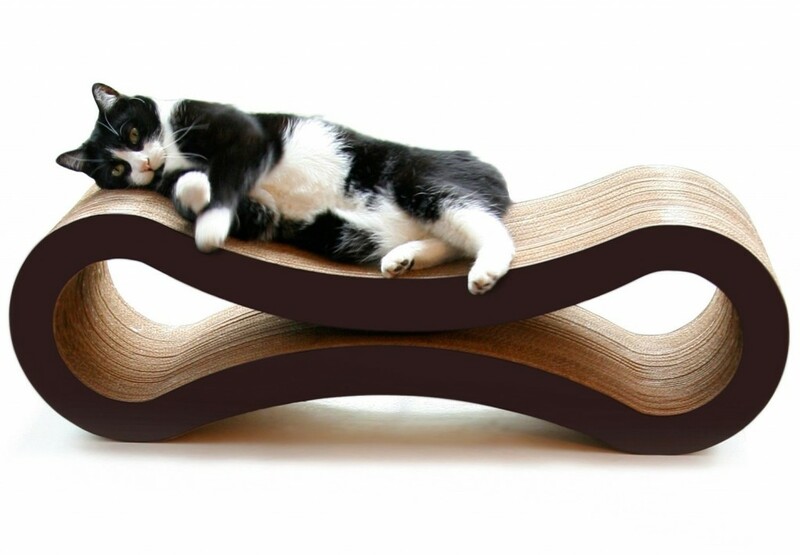 The PetFusion Scratcher Lounge is an elegant and sophisticated way for cats to exercise and care for their claws. Its curved shape and cardboard construction instantly attract felines to it, and its design allows for maximum usage. If you are looking for a sleek way to keep your cats from scratching your furniture and carpeting, then look no further. The Pet Fusion Lounge delivers on all accounts.